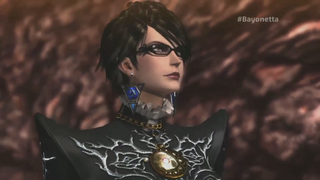 When Bayonetta 2 comes out for Wii U, you'll be getting two games for the price of one. Nintendo announced today that the predecessor for Platinum Games' hotly-anticipated action title will be included with Bayonetta 2. The first Bayonetta came out for the PS3 and Xbox 360 in 2009 and skipped the Wii. Today's news means that the Nintendo faithful who haven't played the original will essentially get to play it for free. http://i.kinja-img.com/gawker-media/i…The game will also let players dress up in gear from other Nintendo games like The Legend of Zelda. The video showed with Bayonetta trading in her black bodysuit for Link's green garb and cap, a Princess Peach-like outfit and Samus's armor from the Metroid games.